I have written several posts about the many problems with S510. I have described how S510 will, among other things, drive small farms out of business by imposing a crushing burden of paperwork and regulations. I have described how S510 gives complete control over how crops are raised and stored to the FDA, an organization that favors pesticides, chemicals, GMOs, and irradiation, and would be able to force the use of those industrial methods on every farmer, thus destroying real food. I have described how S510 would give the FDA the power to destroy the availability of raw milk and cheese. But I have not described how S510 would improve food safety. Because S510 does not improve food safety. Have you ever wondered why all the big agricultural organizations and corporations support a food safety bill? Because S510 does nothing to improve the safety of the food we eat. Nothing. Nothing at all. Does S510 require inspectors to be stationed at all large food processing plants, which would force them to clean up the plants? Does S510 ban Concentrated Animal Feeding Operations (CAFOs), which crowd animals together so tightly that they cannot even turn around, while producing huge lakes of manure from sick animals that pollute the soil and contaminate the water supply with concentrated pathogens? Does S510 ban the use of dangerous chemicals and pesticides that contaminate our food, causing much illness and causing harm to farmers and farmworkers? Does S510 require the inspection of all imported food, to protect us from the poisons and pathogens that have sickened huge numbers of Americans? Instead of taking steps to make food safer, S510 relies on—paperwork. Passage of the bill will give the illusion that something has been done to make food safer, when nothing has been done to make food safer. Paperwork does not make food safer. S510 relies on written safety plans, that are supposed to describe in great detail every point at which food can be contaminated, and provide a written plan for dealing with the risk of contamination. This system, called HARCP, is practically identical to the HACCP system introduced for meat packing plants. Meat is no safer, but the big agricultural corporations love HACCP, because it allows them to avoid actual inspections at their huge meat packing plants. HACCP also resulted in most small food processors being forced out of business because the government would not approve their HACCP plans. Paperwork never made any food safer. A. Find the leaks, and fix them, either by patching or replacing the roof? B. Write a detailed plan describing every possible cause of the roof leaking, and what you could do to prevent it, including a plan for how to prevent every possible cause of the leaks? Any sane person would choose plan A, which fixes the problem. S510 chooses the equivalent of alternative B, which fixes nothing. Please, contact your representatives and ask them to vote against this worthless, dangerous bill. Here is a link to an easy way to contact your representatives. Stop S. 510! Take Action. Sign Petitions. S510 is even worse than I thought. A fine article by Kimberly Usher, of the Antiphospholipid and Pesticide Effects blog, shows even more reasons why S510 must be stopped. Kimberly Usher points out the connections between government agencies and the large agricultural industry, the problems with pesticide-laden food, the fact that we can absorb pesticides through our skin, the fact that S510 commits us to a treaty that was developed by corporate interests to give them a monopoly over food and drugs, the effect of the Codex Alimentarious treaty on our food and freedom, the fact that that S510 will give the FDA the power to shut down any farm if they “have reason to believe” that something is wrong, even if they have no proof, and much more. S510 must be stopped on Monday, November 29th, or we lose our freedom and all access to real food. Please, contact your Senators and ask them to vote against S510. Thanksgiving is about more than eating, traveling, and watching football games. The very name of the holiday describes its purpose—it is about giving thanks. It is about paying attention to the blessings in our lives, and being grateful for them. The settlers who created Thanksgiving left their homes to seek freedom. In England, they could not practice their faith. The food they could eat was heavily restricted. They could not hunt. They had no say in the laws that governed every aspect of their lives. They were willing to leave everything they knew—the very world that was known to them—to seek freedom. They moved to a strange land. They suffered terribly. Many of them starved to death. Yet when times became better, they gave thanks for what they had. Our freedom is at risk—the freedom enjoyed by every previous generation of Americans—the basic human freedom to choose what we eat is in danger. S510 could give total control over agriculture to the FDA. S510 calls for the imposition of “best agricultural practices,” which is another of way of saying that the government will dictate every step of how every crop is grown. Since the FDA favors factory food, chemicals, GMOs, and radiation, they would have the power to impose these methods on all farmers. The FDA could destroy real food, and we would lose our freedom to choose our food. The FDA has stated in court documents that we do not have a right to choose our food. As Thanksgiving approaches, I think over what happened during the year, and remember the good things I have been blessed with. I am thankful for real food, the food that saved my life and restored my health. I am thankful to every farmer who produces real food. I am thankful to everyone who has fought for the very existence of real food, by raising their voice against S510. The settlers, who sailed on the Mayflower and founded the Plymouth colony, left England so they could practice their religion without persecution. When they landed, they knew very little about raising and gathering food in the new land. Their first winter was very hard. They did not have enough to eat. 102 of them had landed at Plymouth. 45 of them died during the winter. Only four adult women survived the winter. Most of the women who died were mothers, who gave their food to their children. The children lived, the mothers starved. The Native Americans taught the settlers how to gather food, real food, and they learned. Only 53 of them were alive to celebrate the first Thanksgiving. Instead of being crushed by the horror of the first winter, they were thankful for the good food they now had, and they gave thanks. Real food saved my life and restored my health. What more can I say? Real food, the food our ancestors ate for uncounted generations, gives our bodies exactly what we need to function. Every process and function of our bodies depends on real food. Factory food puts substances in our bodies that they do not know how to process or digest. Factory food lacks vital nutrient combinations our bodies need to function properly. A balanced diet of real food gives our bodies everything we need to function superbly. We thrive on real food. I am so blessed to be able to get it. Yet S510 threatens to take real food away from me, and every one of us. There would be no real food without real farmers. These farmers do the most important job on Earth, using their skill and knowledge to raise the wonderful real food we need. It takes much more skill and effort to raise real food. These farmers do not take the easy way of using pesticides and artificial fertilizers. They do not take the easy way of sending their livestock to a feedlot to be stuffed full of GMO grains and other unnatural feeds. They do not implant artificial hormones or give antibiotics to cause their animals to grow at twice the natural rate. They use the wisdom of the soil, the nature of their crops and animals, and their own hard-won experience, to raise nourishing food that is a blessing to all who eat it. They work with the laws of nature, rather than violating them. They do not exhaust the soil, but replenish it. They renew and revitalize the land. I am thankful to each and every one of these noble farmers. They deserve to be protected from S510, which could enable the FDA to destroy their farms, and make sustainable farming methods a crime. Freedom to choose what we eat is so basic that almost everybody takes it for granted. Americans have enjoyed this freedom for almost all of our history. Yet S510 threatens this freedom, by threatening the very existence of real food. If we cannot get real food, we cannot choose to eat it. I am thankful to all who have fought this bill. If not for them, it would have become law long ago. Now there is hope that it will not pass. Even if it does pass, the Tester amendment will give some protection to small farmers. However, the big agricultural industry is trying to get the Tester amendment removed, because they want their competition eliminated. It is very frustrating to call your representatives, and to write them. Most of the time, you end up speaking to people who do not seem interested in what you are saying, and are being polite without listening. Or you get canned responses to your emails and letters. Or you have a lot of trouble getting through on the phone. Sometimes, you get a condescending letter or a lecture. If you try to meet with your representatives, they are always busy. In the meantime, lobbyists for Big Ag get all the time and personal responses they could want. Yet, hundreds of thousands, if not millions of us have continued to call, and write, and email, and we continue. Because our freedom and our very ability to stay healthy is at stake. I am thankful to everybody who has spoken against this evil bill. I am thankful to everyone who has emailed their representatives. I am thankful to everyone who has called their representatives. Please contact your representatives, and ask them to oppose S510, or at least make sure the Tester amendment is not removed. And I am thankful to you too. Protect Family Farms! Save Food Freedom! This is the raw milk cheese that I eat every day. I'm not dead. The FDA has gone to war. It has marshaled all its resources, and obtained the support and help of the FBI, sheriff’s departments, attorney generals, police departments, courts, and dozens of other state agencies. Agents with drawn guns, laboratories, warrants, lawsuits, injunctions, embargoes, press releases, internet postings, armed raids, the seizure and destruction of huge amounts of property, breaking into private buildings, are just some of the methods the FDA has used in this war. What horrible crime justifies all this vast effort and expense? There must be a serious threat to public health, at the very least? Is the FDA taking action against the drug companies who have killed hundreds of thousands of Americans with dangerous prescription drugs? Is the FDA closing down the Concentrated Animal Feeding Operations (CAFOs) that pollute our land and water with actual lagoons of manure and waste, that spread dangerous bacteria into the soil, that create great suffering for animals who are crowded together so tightly that they cannot even turn around? Is the FDA raiding the large industrial food facilities that cause illness and death from their profit-over-everything practices, and have been the cause of every recent food safety outbreak? The FDA is targeting single family farms that produce raw cheese. The FDA is trying to drive them out of business, with the enthusiastic support of various state agricultural agencies. How many people have died from raw cheese from the targeted farms? How many people have become ill from raw cheese from the targeted farms? How many people have complained about being ill from raw cheese from the targeted farms? Why has the FDA gone to war against family farms making raw cheese? You might think it is illegal to make and sell raw cheese. It is not. The FDA’s own regulations, in place since 1949, allow the selling of raw cheese in interstate commerce. The cheese must be aged at least sixty days, which results in beneficial bacteria destroying the harmful bacteria, if the aging is done properly. In the 61 years that have passed, there have been no deaths and very few, if any, illnesses caused by properly aged raw cheese. This excellent record makes properly aged and stored raw cheese one of the safest foods, as well as one of the most nutrient-dense. 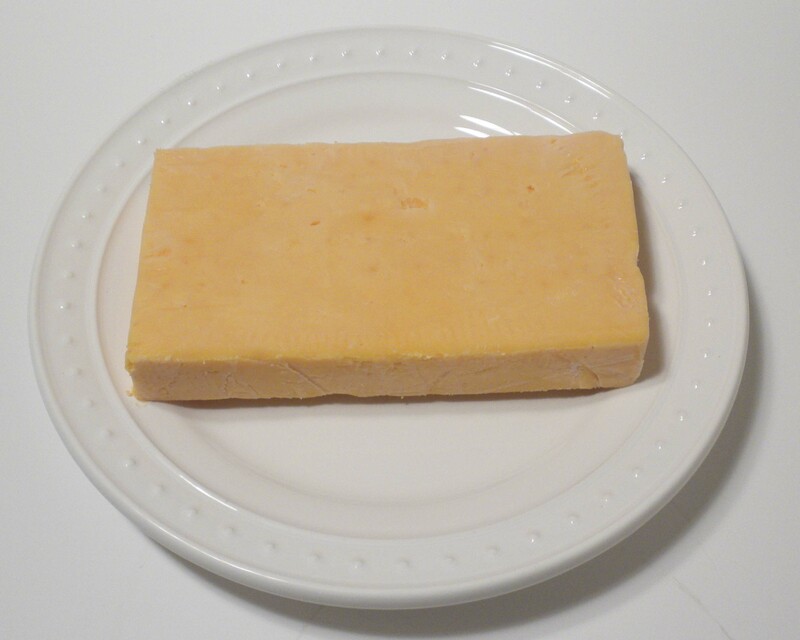 Raw cheese is widely used all over Europe, with little or no reported illness. In fact, the great legacy cheeses of Europe are all made from raw milk, and have been enjoyed safely for hundreds of years. When the government uses its awful, overwhelming power to crush and destroy a person or a business that has harmed no one, and broken no law, it is tyranny, plain and simple. The kind of tyranny that freedom-loving people have resisted throughout history. The United States of America is supposed to be a free country, with our fundamental rights protected from government abuse and tyranny. The system is not working here. There are many examples, but I will pick three. On June 30, 2010, armed agents from the FBI, the FDA, the California Department of Agriculture, and the local police department entered a warehouse owned by the Rawsome Co-op. Rawsome is a buying club that provides raw and organic foods to its members. You can see the video of agents brandishing guns in the co-op here. You would think they were looking for armed drug dealers, or terrorists, instead of people selling food. Fortunately they did not shoot anyone. The government agencies had a warrant that allowed them to take samples of the foods contained in the warehouse. If they had simply knocked on the door, and politely gone about their business of taking samples, nobody would have resisted them. The use of large numbers of armed agents, the brandishing of guns by agents obviously ready to shoot, belongs in the old Soviet Union, not the United States. Instead of just taking the samples authorized by the warrant, the agents seized all the raw dairy products, placing them in unrefrigerated containers. This took place during the sweltering heat of a Los Angeles summer. Some of the cheese seized had come from Morningland Dairy. Morningland Dairy is a family owned farm in Missouri. They have been making high quality raw cheese for thirty years. In all those thirty years, nobody has ever claimed that they got sick from this fine cheese. More than seven weeks after the Rawsome Raid, Morningland Dairy was visited by agents of the FDA and the Missouri Milk Board. The agents embargoed all the cheese in the dairy, preventing its sale, without a hearing, without trial, without testing the cheese that was there. Morningland Dairy was informed that the California Department of Agriculture had tested Morningland cheese seized in the Rawsome raid and found it to be contaminated with listeria monocytogenes. The testing took place SEVEN WEEKS AFTER the cheese was seized and placed in unrefrigerated containers. The circumstances of the testing were not in compliance with FDA regulations, and there was no indication of whether the cheese was even refrigerated during the seven hot weeks between seizure and testing. Nevertheless, the FDA and the Missouri Milk Board demanded that all the cheese at Morningland be destroyed. The cheese was worth $250,000. The Attorney General of Missouri has gone to court to try to get all the cheese at the farm destroyed. The family is currently engaged in a desperate legal battle to save their business. Their ability to earn money had been severely reduced by the embargo, and this financial pressure may result in the death of their farm. You can find a detailed description of what was done to the family farmers at Morningland here. And there is even more information on Morningland Dairy here. The Estrella Family Creamery is a family farm that makes some of the most delicious raw cheese in the nation. A number of their cheeses have won awards for excellence. They have been in business for many years, and their cheese has been widely distributed. Their cheese has been a very popular item at many farmer’s markets in the Seattle area. Nobody has ever claimed to have gotten sick from their cheese. Earlier this fall, the FDA and a Washington state agency claimed that some of Estrella’s cheese was contaminated with the bacteria listeria monocytogenes. The problems centered on one cave, and the company voluntarily destroyed the affected cheese and issued a recall for several cheeses. The farm made changes that solved the contamination problem. It must be emphasized that nobody got sick from the contaminated cheese. The government agencies demanded that ALL the cheese at the creamery be destroyed, which would be a financial disaster for the farm. The FDA demanded that the creamery recall ALL of its cheese, including the types that had never been contaminated. The creamery refused. The creamery had testing done which proved that none of their current cheese was contaminated with listeria, or anything else. In October, three carloads of FDA agents and Federal Marshals drove onto the farm, and closed it down. The Estrellas are now prevented from selling their cheese, though they are going to court to fight for their business, at great expense. There is more information on the Estrella Family Creamery here. We have seen what the FDA will do to make war on small family farms now. If the FDA gets the almost unlimited power over farms that S510 will give it, the situation could be much worse, with family farmers facing up to ten years in federal prison. The FDA has done much good in the past, and could do so again. I used to admire the FDA, and it used to do a great job of protecting our food supply. I think it is important to realize that the average employee of the FDA is not an evil person. The FDA is full of people who really want to protect us, who are devoted to making our food safer. People who really care about what they do. Good people, full of talent and dedication. But they have to follow the directions of their superiors, and they have been trained to believe certain things which are not accurate. It would be terrific if the FDA would stop focusing on small farms that have hurt no one and use its power and ability to take on the real threats to safety, the threats that are actually killing people, like dangerous drugs, filthy food processing facilities, tainted imported food, and factory food filled with dangerous chemicals and pathogens. They could become heroes again. First, we can contribute money to Estrella Family Creamery and Morningland Dairy, so they will not be destroyed by the shutting down of their business and can finance their fight in court. Click the Pledgie Buttons for details! Estrella Family Needs Your Help in Washington State! Dixon Family Needs your Help in Missouri! Second, we can contact our Senators and ask them to stop S510, or support the Tester amendment and remove the criminal penalties. We must ask our congresspeople to stop FDA tyranny against family farms, and turn the FDA against the real threats to food safety. If they do so, we can save Morningland Dairy, and the Estrella Family Creamery, and many other good farms and dairies that have come under attack. See more posts about how to save farms at Save Farm Freedom Friday! I never wanted to blog about politics. 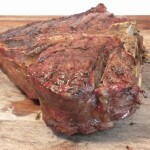 I wanted to blog about the cooking and benefits of grassfed meat and real food. I wanted to share the joy of these wonderful foods, the kind of food that saved my life and restored my health. The kind of food that not only tastes delicious, but gives our bodies the fuel we need to enjoy robust good health. But there is little point to writing about real food if nobody will be able to get it. Our very ability to raise, buy, and eat real food is seriously threatened. Senate Bill S510 comes up for a cloture vote this week, quite possibly Wednesday, November 17th. This vote could result in the quick passage of the bill. If that happens, real food as we know it may be gone from our tables—forever. One of the most basic human rights is the right to privacy. This gives us the right to decide what to do with our own bodies. No decision we can possibly make about our own bodies is more important than what we choose to eat. If we cannot grow, import, or buy the foods we choose to eat, then we lose all freedom to choose what food to put in our bodies. S510 gives the FDA the absolute power to control what we eat. If S510 passes, we will lose our freedom to choose what we eat, one of our most basic human rights. There is a food safety crisis in the United States. Many people have died from tainted food. Many millions of people have become ill. We do need effective food safety laws. Just as important, we need those laws to be enforced. The laws that already exist would make our food much safer—if they were enforced. But they are not. Now we have new “food safety” laws proposed like S510. But a law does not improve food safety just because they say it will. When you actually read the law, all two-hundred-plus pages of it, you realize that it has nothing to do with making food safer, and everything to do with giving total control over the food we eat to the FDA. The very same FDA that is controlled by Big Agriculture and Big Pharma. Rather than inspections, S510 relies on huge amounts of paperwork. Paperwork never made anything safer. But the paperwork burden can easily be made impossible for small farmers and sustainable farmers, as the FDA has total control over what paperwork to require. The large companies can hire specialists to do the paperwork, but the small farmers cannot afford to do so. If you look at what the bill actually does, it provides a way for Big Ag to use its influence with the FDA to crush small, sustainable farms under a mountain of regulations and paperwork requirements. This has already happened in the meat processing industry, where the imposition of crushing paperwork burdens caused most small processing plants to go out of business, leaving a handful of companies with more than 90 percent of the market. If only a few large industrial agricultural organizations are left, we will only be able to choose industrial food, and will have lost our freedom. It is very puzzling that S510 chooses the FDA to have complete control over how crops are grown, stored, and processed. The FDA knows nothing about growing crops. The Department of Agriculture has a lot of farming experience. Why choose the FDA? The FDA is a strong supporter of chemical-heavy industrial agriculture; genetically modified crops; irradiating food as the preferred method of making it “safe”; the heavy use of pesticides; and banning all food that has any life in it, such as raw milk. S510 would give the FDA the power to impose these methods on all farmers, bringing an end to real food. If the only food allowed is industrial food, we will have lost the basic human freedom to choose our food. It is expected that S510 will have S3767 included as an amendment. 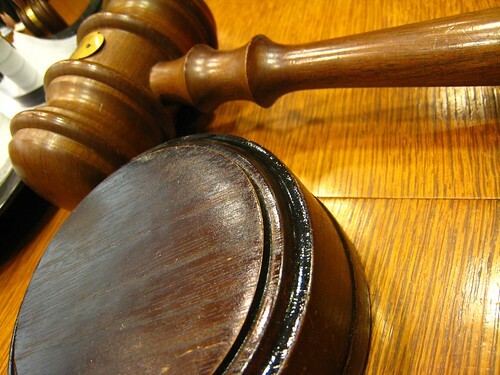 S3767 includes prison terms of up to ten years for violating various food safety laws. These laws could be used by the government to imprison people just for selling raw milk, as explained here on Hartke Is Online. If raising real food is punished with years in prison, nobody will dare to raise real food, and we will have lost our basic human right to choose our food. We can call and write and email our senators, demanding that they do not pass this freedom killing bill, or, as a minimum, vote for the Tester Amendment that will protect small farmers from the worst part of the bill. The time to act is now. We all have an opportunity to fight for the freedom to choose our own food. If we stay silent, we will lose that freedom. 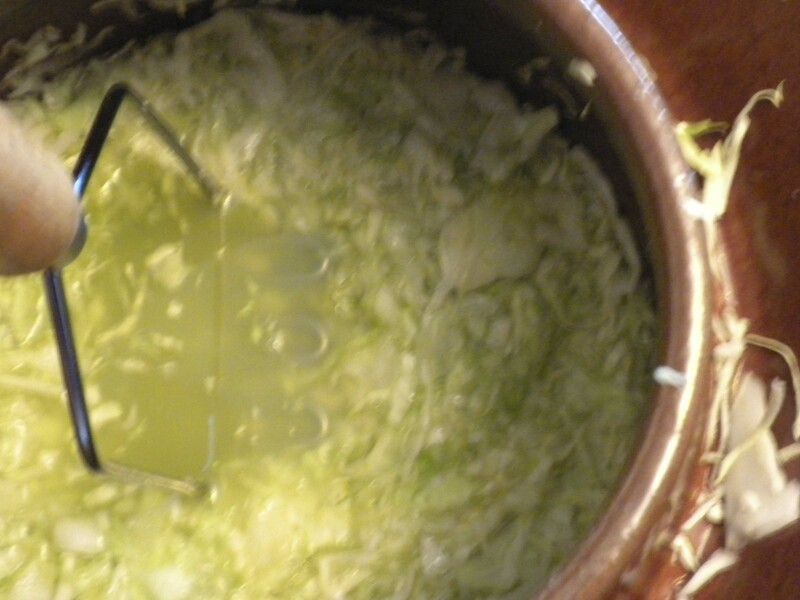 Traditional homemade sauerkraut is full of life. Human beings need live food to support their life and health. Food that is full of vitamins, enzymes, co-factors, and many other substances that exist naturally in the food of our ancestors. Our bodies know how to use these substances to support life and health. Modern processed foods are full of chemicals and preservatives that have killed almost all the life in the food. Many so called “fresh” foods are irradiated, which kills the life in the food. Many of these foods will not spoil, because there is no life in them to spoil. These dead foods do not give us the nutrients needed to support the natural functions of our bodies, which require nutrients that can only be found in live food. Our ancestors ate live food. It was either fresh and unmodified, or it was preserved by traditional methods such as fermentation, drying, and smoking. These traditional food preservation methods actually used beneficial bacteria to increase the life in the food, often increasing the amount and quality of the nutrients. Dr. Weston A. Price spent ten years travelling around the world, studying the diets of healthy traditional peoples. He found that traditional peoples eating the diets of their ancestors were free of the chronic diseases that plague modern humanity. They did not have tooth decay, though they had no dentists. They did not have cancer, or heart disease, or arthritis, or asthma, or allergies, or birth defects, though they had no doctors. They did not have any form of mental illness, though they had no psychiatrists. They did not have crime, though they had no police. They kept their sight, hearing, balance, mental acuity, and mobility well into extreme old age, though they had no glasses, no hearing aids, no hip or knee replacements, and no prescription drugs. What they did have was plenty of good live food in its natural state, free of added chemicals, brimming with enzymes, vitamins, beneficial bacteria, and other co-factors that were alive, not dead. While the diets of these people were diverse, all of them ate raw or very rare meat and/or seafood, though they also cooked much of their food. All of them ate the organs of animals and fish raw, or lightly cooked. All of them ate some form of fermented live foods. All of them ate some form of raw, live animal fat, whether in the form of pastured butter, raw milk, raw cheese, raw fish fat, or raw animal fat. All of them ate raw fruit and berries. All of them ate some vegetables raw. All of them preserved food by fermentation, or drying, or smoking. These traditional methods preserved or actually increased the life in the food. Dr. Price also found that traditional peoples eating modern processed foods suffered greatly from every modern disease; had terrible teeth that they often lost; and often suffered from epidemics such as tuberculosis. The modern processed foods eaten by these sick people were dead foods from cans and jars, often filled with sugar, processed in such a way that they did not spoil. The food industry loves dead food. Why? Dead food lasts longer. Dead food will not spoil. As an example, some cupcakes have lasted 15 years without spoiling. See this fine article about 15 year old cupcakes. Dead food has a very long “shelf life,” which means it can be transported for weeks, and sit on shelves for months or years, and still be the same. Dead food increases profits. Live foods spoil, which really hurts profits. The fact that live foods will spoil makes it much harder to transport them, requiring intensive refrigeration, or freezing. The food industry developed chemical preservatives, substances that prevent food from spoiling by killing the life in the food. These preservatives change the food they touch, changing it into something that we were not evolved to eat, something that our bodies do not recognize or know what to do with. Dead food is not limited to packaged foods. Pesticides are poisons, whose purpose is to kill. Some pesticides are designed to kill plants, and others are designed to kill insects. When they are in the food, they change the food, almost certainly killing some or all of its live qualities. Genetically modified plants have been changed so they can survive huge amounts of pesticides without dying. This means that genetically modified plants have been sprayed with even more pesticides than ordinary factory crops. Other forms of genetically modified plants actually have internal pesticides that will kill insects. Many fruits, vegetables, spices, meats, and other foods are irradiated. The purpose is to kill bacteria, but the radiation changes the food itself, into something different, something new and foreign to our bodies. The purpose of radiation is to kill, and radiation kills life, including much of the life in the food. The food industry has now introduced nanites, tiny particles much smaller than a single cell, as a new way to preserve food. These nanites are designed to kill bacteria, and they will kill all bacteria, including the beneficial bacteria our bodies need to function properly. These nanites are often used in food packaging, and no labeling is required. It is not known what happens when these tiny particles penetrate our cells, especially the cells of our organs. The basic rule is, if it does not spoil, don’t eat it. This applies to meat, fish, vegetables, fruits, milk, cheese, butter—just about every food. Eat only real, basic food that humanity has eaten for many centuries. It is also best to find foods that are raised and processed without the use of added chemicals, such as foods that are organic or the equivalent. Processed foods should be avoided. If you buy processed foods, try to buy foods packed in glass, to avoid chemicals and nanites in the packaging. Even organic foods can have chemicals in the packaging, as organic tomato cans are lined with BPA. Avoid all foods that have been irradiated. Avoid all foods that have chemical preservatives. Avoid all foods that have been genetically modified. Eat traditionally fermented condiments, such as old fashioned sauerkraut. Traditional fermentation actually increases the life in food. Eat a large portion of your food raw. This can include high-quality dairy, fruits, and vegetables (though some vegetables, especially cruciferous vegetables, should not be eaten raw). Eat only grassfed, grass finished meats and wild seafood. These foods are especially full of life when cooked rare, or eaten raw. As Sally Fallon Morell has pointed out in her great cookbook, Nourishing Traditions, the US Department of Agriculture has stated that parasites are killed if food is frozen for at least 14 days. Learn about traditional foods, and how to prepare and eat them. I recommend Nourishing Traditions, by Sally Fallon Morell. For grassfed meats, I recommend my own book, Tender Grassfed Meat. Live foods give life, by supporting the natural functions of our bodies. 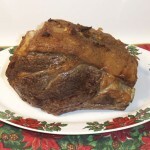 This post is part of Real Food Wednesday and Fight Back Friday and Monday Mania blog carnivals.